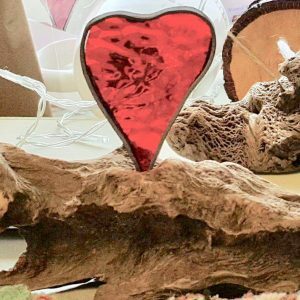 Looking for a unique Valentine gift this year, then join us at Giles Gallery for a romance inspired workshop and create a one-off piece that will be treasured forever. 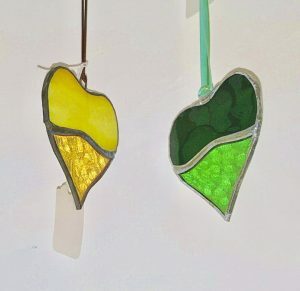 Back by popular demand, professional stained glass artist Ingrid Walker will be running a full day stained glass workshop offering you the chance to create a beautiful handmade gift or decoration. 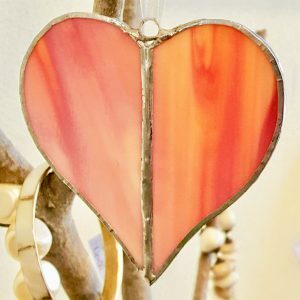 During the day Ingrid will provide all the guidance you need to create your own stained glass pieces. 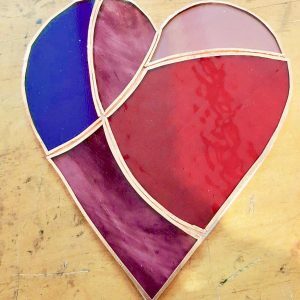 Learn how to bring your idea to life, develop suitable designs for stained glass, cut and grind glass, as well as solder and construct the final product! 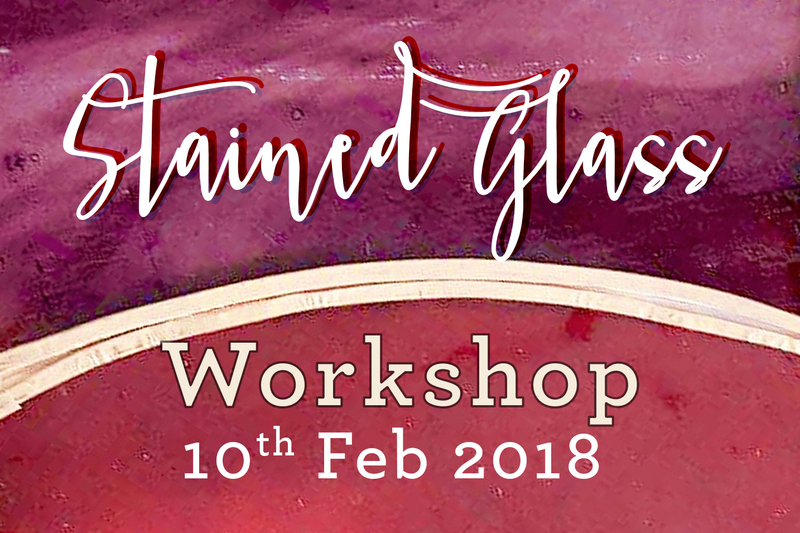 The workshop will run on Saturday 10th of February, from 10:00 am to 4:30 pm. The day will cost £50 which includes all tuition and materials, light refreshments will also be provided. Places are limited and filling fast, so please book a place to avoid disappointment. To receive updates on our news, promotions, and events subscribe to our mailing list on our home page.